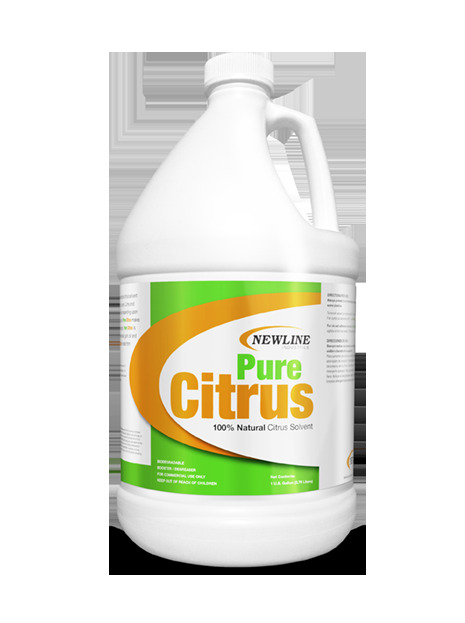 Pure Citrus is a 100% Biodegradable natural citrus solvent blend made from Orange, Grapefruit, Lemon, Lime and Tangerines. Color and fragrance will vary depending upon the seasonal availability of the citrus fruit. Pure Citrus makes an excellent booster for carpet pre-sprays. Pure Citrus is excellent for adhesive removal, ink removal, gum removal, oil and general grease and grime stains. Pure Citrus is made from 100% renewable resources. For carpet pre-spray boosting: Dilute 1.5 - 2 oz. per 5 quarts of RTU pre-spray in injection sprayers. Dilute 0.5 oz. per gallon of RTU pre-spray in pump/electric sprayers. For deodorizing use: Dilute 0.5 to 1 oz. per gallon for water based deodorizing. Dilute 0.5 - 1 oz. per gallon of mineral spirits for solvent based deodorizing.